virgil abloh is an american fashion designer who serves as the chief executive officer of the milan-based label off-white, a fashion house he founded in 2013. in march 2018 it was also announced abloh would take on the role as artistic director of louis vuitton's men's wear collection. 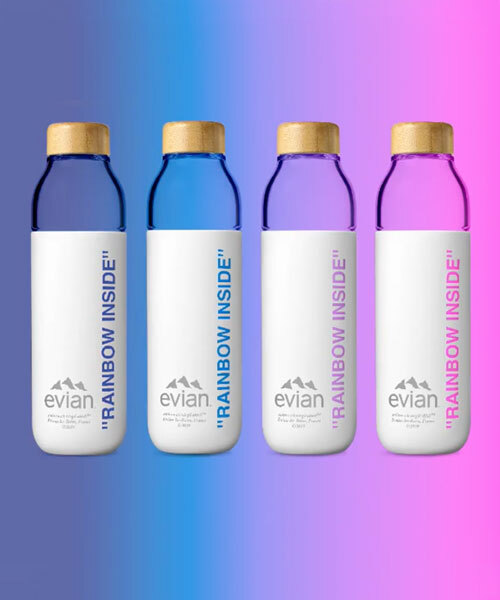 evian has revealed its first refillable glass water bottle, designed by the brand’s creative advisor for sustainable innovation design, virgil abloh. the reusable bottle was unveiled during new york fashion week 2019.
made in collaboration with beverage brand SOMA, the limited-edition 17oz. water bottle is made of glass, with a bamboo lid. 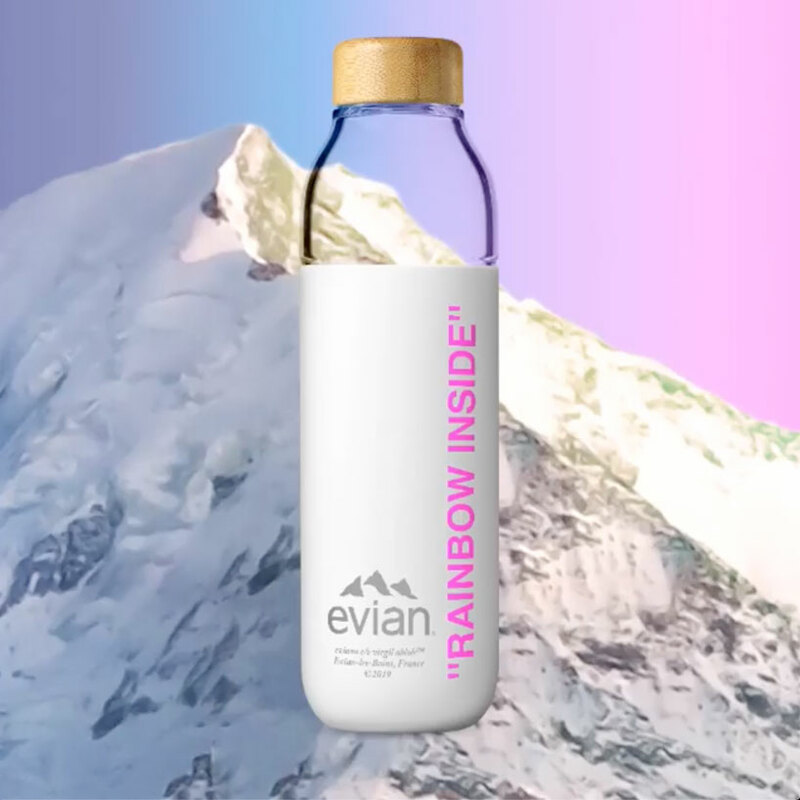 a white, protective silicone sleeve features ‘evian‘ branding printed in gray, and ‘RAINBOW INSIDE’ written vertically within abloh’s signature quotation marks. evian announced in december 2018 that virgil abloh had joined the brand as creative advisor for sustainable design. 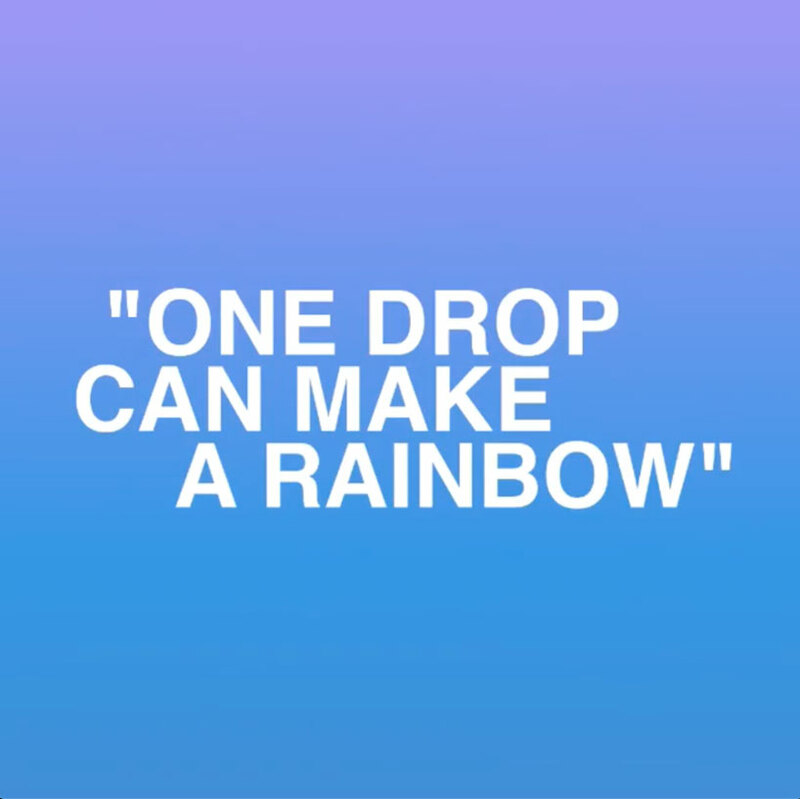 the company aims to be a 100% circular brand by 2025. there’s no word on the price for this limited-edition version yet but what we do know, is that the bottle will be available with the text in four colorways: pink, purple, light blue, and dark blue. we also know that the the limited-edition @somawater bottle will be available exclusively on matchesfashion.com.